When I was in school in Texas we studied the canon of literature – which we jokingly called ‘the Old White Guys’. We were taught that this was proper, good literature, and we were also taught how to read it: what to look for, what to recognize stylistically and so forth. I graduated from university with a degree in English Lit, feeling pretty well read. I had studied feminist literature, African-American literature, Native-American literature, existentialist literature, post-colonial literature, post-modern literature and knew the canon of literature backwards and forwards. 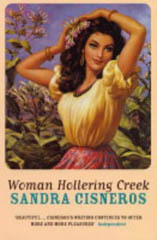 Then in 2002 I decided to move abroad and was given Woman Hollering Creek by Sandra Cisneros to read on the plane. It floored me. This, by all my learning, was proper, good literature and I had never heard of it. The characters were people like me, in situations that I recognized. They were people I saw in the supermarket, in my school and most importantly, in my home. They weren’t stories that took place in some exotic foreign land like Dublin or India, but right there at home – in the Southwest, the Borderlands of the US and Mexico, in Texas, Chicago and New York. It was then that I realized that there was a literature to represent me. Before, books had always been about the not-me, someone else, and I expected that, because for me literature was the wonderful land of make believe. After reading Cisneros however, I began to see that not only was there a literature to represent me but that it had a duty to represent me, and that as a writer it was my duty to represent myself. I gradually began reading more of the genre where I could find it; House on Mango Street (Sandra Cisneros), Face of an Angel (Denise Chavez), and So Far From God (Ana Castillo) were a few titles I found first. 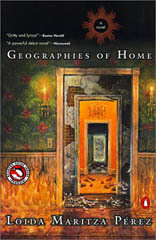 My sense of the genre was that here was a section of the grand American narrative to which most people had little exposure, even though many people lived in the areas described. The stories were poignant and honest representations of a sub-culture both in America and literature, and it was personal. When I read the dialogue I heard it in my mother’s accent. When I pictured the settings, I saw desert towns in Texas and Mexico where I had lived for most of my life. And when I read the characters, I saw families that I knew but was discouraged from thinking about critically, both in school and in a social context. Questions about other Mexicans were not answered by my mother, I was discouraged from speaking Spanish even in my home – my parents didn’t want their children to be encumbered with Mexican accents – and in school it wasn’t even an option. Culturally we were separated from other Mexicans because none lived in our neighborhood. My friends often didn’t even know I was born in Mexico or spoke Spanish because I had light skin and a northern American accent. But when I finally began to write I could not imagine writing about anything I would have to make up – the wonderful land of make believe wasn’t what I wanted to explore. I had to write about what I knew and had experienced in Mexico and Texas, and the writers of these Chicana novels gave me both the bravery and encouragement I needed. After all, I thought when I began, they’d done it so why couldn’t I? 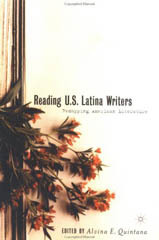 In March of 2006 the University of Edinburgh hosted the El Otro Lado conference of Latina and Chicana women writers. It was three days of conversations, lectures, and readings. To meet the women who had essentially started the Chicana literary movement, who embody the future and past of writers like myself, was an honorific experience. The conference started with two private sessions with Helena Viramontes, who spoke about prose, and Ana Castillo, who spoke about poetics to the MSc Creative Writing students. In the prose workshop Helena Viramontes spoke about the politics of her writing, how politics was both the impetus and motivation of her work. She also told us that her writing springs from the ground upon which she lived, that place and history were most important things to her writing. Helena also spoke about stretching language to have layered meanings, to become something else, not just a good story. In that capacity then, writing becomes a ceremony, a politic. Writers should move towards an understanding, and find that they are capable of imagining whatever they can imagine. Right now, she cautioned us, the world is a dangerous place; full of black and white interpretations, and as writers we should be instruments of humanity – complexity can bring us together as people. And in that way, the act of writing is an act against the vulgar literality of the world. I believe that writing can produce great acts of beauty, as well as give agency to those who have none. What I took away from Helena’s workshop was a renewed desire for expression, to write about an entire experience using all five senses, the idea that we can and should fully express our human experience because it’s a beautiful thing, an individual thing. That same night Alvina Quintara, literary critic, gave the Blackwell Lecture: ‘Emergent Voices, Rising Tides: Contemporary US Latina writers and the literary market’. She traced the Latina movement back to the 1970s and its brave founders, mostly self-published, Helena Viramontes, Ana Castillo included. The focus of these writers, according to Quintana, was the suppression they felt from outside. They could not find publishers for their work, though their contemporary male counterparts were beginning to find an audience, and so they worked out of their homes and kitchens to produce their own poetry and stories about themselves. Then in the 80s the movement found fertile ground and the focus was shifted to the suppression from inside, the restrictions Chicana writers place on themselves. In the 90s the floodgates opened for Latin-American writers as their work became more marketable and found a larger audience. People began to sit up and take notice, says Quintana, because they had found that there was a voice in literature to represent them, as I found myself, and the hunger for this new perspective was insatiable. The next day I was lucky enough to accompany Loida Maritza Perez (author of Geographies of Home) to the Grassmarket and around Old Town. Maritza is from the Dominican Republic and was quick to express herself as ‘un Americana’, meaning that she comes from the cradle of the American continent: after all, it was the first place Columbus landed. She spoke about the joy of writing, that to immerse herself in her work was the only thing she wanted to do. We talked about her past and present, her father was a shoemaker, and how not all of us can teach and still produce work. 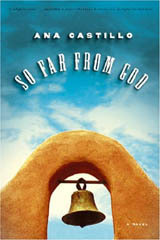 Maritza is currently working on her new novel, about the little documented native religions of the Dominican Republic. Essentially, she told me, she was writing a Bible and didn’t care how many people felt negatively about it because to write the history of her country was more important. There was bravery in that assertion, I felt. Later that day, the Chicana and Latina writers met with Scottish writers Jenni Calder, Valerie Gillies, and Dilys Rose in the National Library for conversations and readings on the cross cultural exchange at hand. What really interested me about this in particular was how subjects that would be upsetting or even taboo in the States were treated with calm and respectful discussion here. The subject of ‘bastardization of language’ came up – always a touchy subject for those who don’t speak ‘proper’ English – and it was handled diplomatically and, more importantly, with a view to educate, not condemn. It was surprising to see how much common ground the Chicana and Latina writers had with the Scottish ones in this particular subject. In the States, those who don’t speak English natively are barred in school and work from speaking any language but English, and as the Scottish writers attested, the same was true when they were growing up. Only English was allowed outside the home for most of these writers and thus, now that both Gallic and Spanish are more widely excepted and taught, these writers see the growing tolerance as a positive change – though in the States there is still much contention over changing English in any way from the standard. Another topic that was of great interest to me that was brought up in this conversation was whether or not writing should be ‘self-indulgent’. I believe that all writing is necessarily self-indulgent, because to write indulges the self, and that without this indulgence, writing would be stagnant and false. Helena and some members of the audience were adamant that self-indulgent writing is inherently non-political and therefore should be avoided. That night the writers and others were invited to a dinner hosted by Dilys Rose and Brian McCabe. It was a chance to relax and have intimate conversation. Helena Viramontes and Alvina Quintana took me aside to try to explain that young writers were the ‘next generation’ and that we should be educated in the struggle our people had before them to be recognized as legitimate voices in literature and that we must never forget that it was our duty to write as honestly and beautifully as possible. Helena and Alvina wanted me to always remember where the Chicana movement started and that it was from the ground up, that I should never undervalue or be unappreciative of the struggle to give me, as the ‘next generation’, a place for myself in literature. And, Helena wanted to strongly impress upon me, I needed to continue the struggle. My sense of Latina and Chicana writing was expressly that: a continuance of my experience and theirs. It is my impression that in the US we still have a long way to go before we are recognized as valuable literature, valuable voices, writers, and experience. The three-day event was rounded off by a reading in the Pleasance Cabaret Bar hosted by poet Diana Garcia, and included the Chicana and Latina writers as well as A.L. Kennedy, Valerie Gillies, and Dilys Rose. It was an emotional night, as many of these writers had grown fond of each other. Each writer read some of her work and Chilean singer Valentina Montoya-Martinez and her band Voces del Sur accompanied the performance. Students and others from the University and from outside it had books for the writers to sign and many had their own testaments of how the Chicana and Latina writers had affected their own lives and writing. During an interval of the show Ana Castillo told the students at her table that writers must sacrifice and that writing was difficult work. And, Helena Viramontes jumped in to say, it’s like breathing – if you’re a writer, you must write. It was such a wonderful experience to see these writers so far from home; to hear them speak about the craft and the struggle of writing about our people in an environment so far divorced from the harsh politics of the United States, where being Mexican is bad, and our culture is continuously attacked. Scotland is the only country I’ve ever lived where being Mexican is a good thing, an interesting thing. I don’t hide my identity here; I am encouraged to display it. So to interact with the Chicana and Latina writers in my adopted country was, in a way, nurturing. We were in a bubble; able to focus on the craft and the humanity we wanted to represent and leave other people’s negative opinions about the validity of our work far behind, across the ocean.